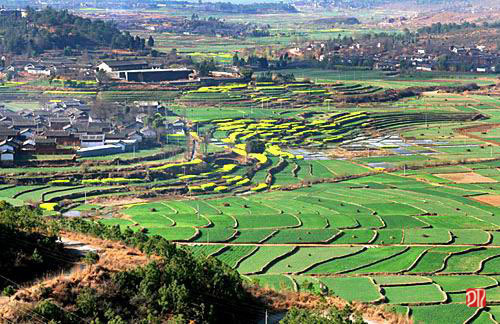 The Rainfed Villages anthromes are agricultural regions sustained by annual rainfall. Higher than typical precipitation and temperature amongst other villages, the rainfed village experiences slightly higher net primary production within a region that supports little livestock and a significant population density. Rainfed villages are less likely to be found in just a few ecoregions, but are still primarily in southern Asia. The rainfall in these warm Asian regions help to support nearly 10% of all cultivated lands and 10%of all rice paddy in the world. *Median, Minimum and Maximum estimates were calculated after removing the top and bottom 2% of cells in each anthrome based on the Euclidean distance across the means of variables used for anthrome classification.